The Old Trouper by Don Marquis is a masterpiece of characterization and embodies the spirit of the "Crushed Tragedian" down to the namedropping and melodramatic gesture. 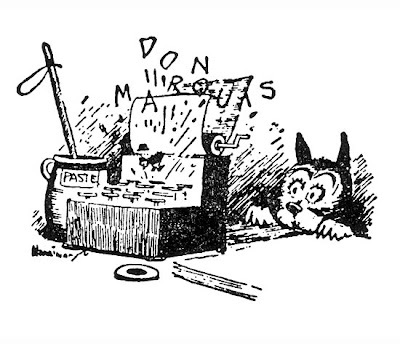 Marquis (1878-1937) created the characters Archy and Mehitabel -- the latter a stray cat, the former a cockroach who typed by jumping on each key which is why there are no capitals or punctuation marks in the poems). Marquis supposedly found the typed pages on his desk the next day and published them. 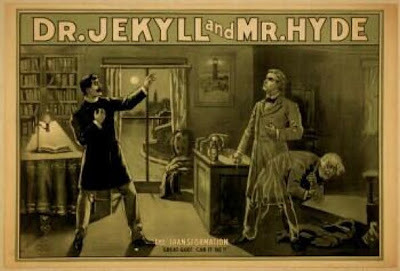 Anglo-American actor and producer, known for the beauty of his Shakespearean performances, his work in Gilbert & Sullivan, and his production of and starring role in Dr Jekyll and Mr Hyde. Resented by colleagues for his arrogance, short temper and duplicity. Considered by critics and theatre historians the greatest actor of his time, according to some, of all times. 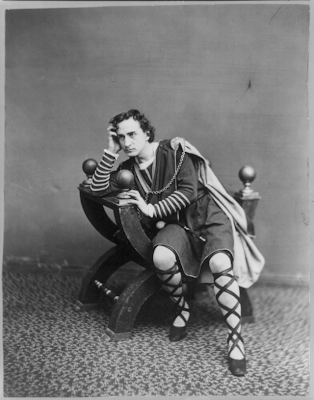 Son of famed actor Junius Brutus Booth, he surpassed his father and inaugurated a more naturalistic and introspective acting style. He founded Booth's Theatre in Manhattan and became famous for his roles as Hamlet, Cardinal Richelieu and Iago. Playwright and theatrical manager. His play Under the Gaslight featured a character tied to railroad tracks and saved in the nick of time by his sweetheart, starting a melodramatic trope we all now recognize. He ran a stock company, the "company of stars", and was famous for his attention to detail and paternalistic handling of his actors. The most famous actor of the post-Civil War stage, he played the title role in Rip van Winkle for almost forty years. He also played the lead in Our American Cousin, the last play President Lincoln attended. Rip van Winkle's dog Wolf was a ghostly presence, never appearing on stage but frequently mentioned as a loyal and faithful friend. American actor of Shakespearean and popular roles, seen as a native challenger to British classical actors MacReady and Kean. He played Othello, Lear and MacBeth, but his Romantic heroes, such as Spartacus and Metamora, depended as much on his physical training and muscular presence as on classical artistry. Polish-born actress, known for her Shakespearean interpretations. Lady Macbeth was considered one of her finest roles, but audiences also knew her as Camille and as the star and producer of the first U.S. staging of Ibsen's A Doll's House.